The Canberra Times editorial on yesterdays release of the new Transport Strategy is pessimistic. While I broadly agree with their assessment, they do get a few things wrong. Decisions on timetabling and policy have been removed from Action and are now 'in house' with TAMS under the 'Transport for Canberra' name. The CT also fail to understand how public transport infrastructure can revitalise a city, and guide future development. Instead they drone on about how people love driving their cars. 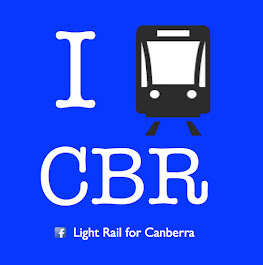 They also fail once again, as does the government, to push for light rail. While the city continues to expect buses to do the heavy lifting of mass transit, many of the operational problems ACTION experience, will remain. Go down to 'Potential Action' halfway through the editorial.